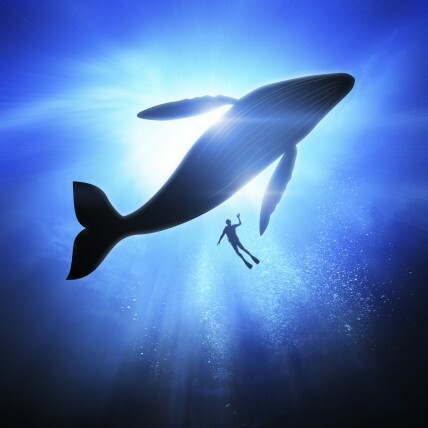 Scuba diving…those two words instantly conjure up a million vivid images. Of crystal seas in shades of blue and green, rainbow reefs, and marine life in hues that would put a Pantone palette to shame. So many of us have wanted to explore the Great Blue Yonder, and live our own private James Bond adventure, but don’t know where to start. 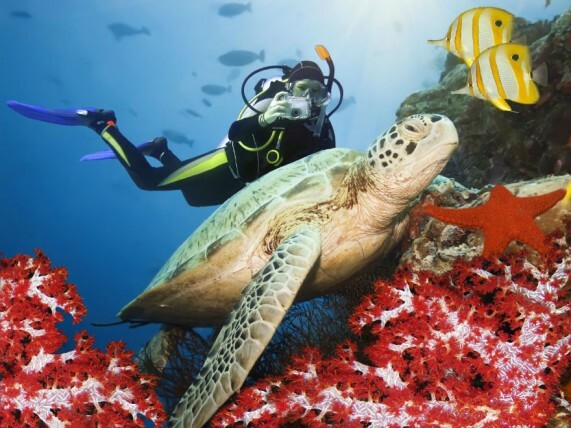 Constraints of time and budget are often dampeners as most people think that to learn diving, they have to travel to an exotic ocean-side location. Not true. The fact is that you can take that first plunge and become a certified diver in your own city. Coastline optional. Dive centres in the city offer the Open Water Diver Certification course that is certified by the global governing body, the Professional Association of Diving Instructors (PADI). The course is a three-step programme over 4-5 days, at the end of which you will be certified to dive anywhere in the world. 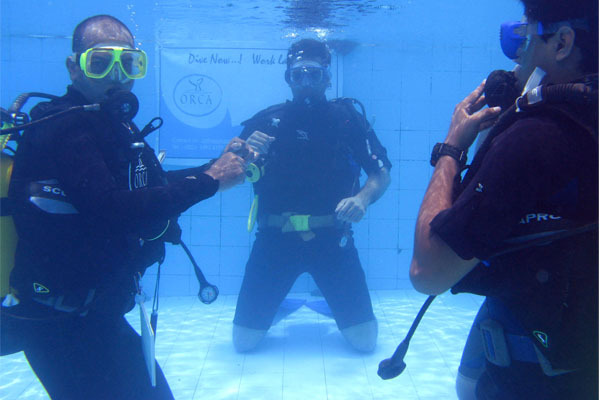 In Bangalore, PADI Open Water Courses are conducted every weekend by Planet Scuba India. 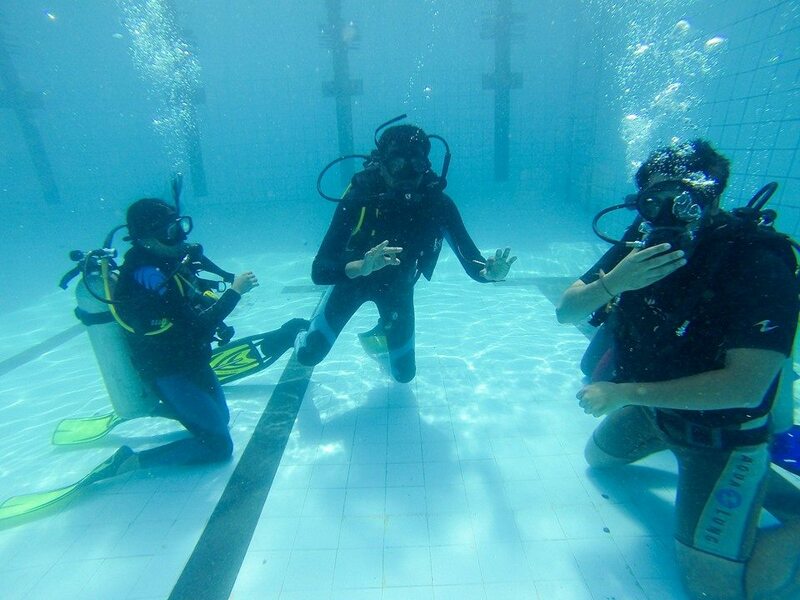 The theory and swimming pool training is held over one weekend and the four mandatory sea dives are held in Goa or a location of your choice on another weekend. Depending on your leave and time available, the program can be customized for you. 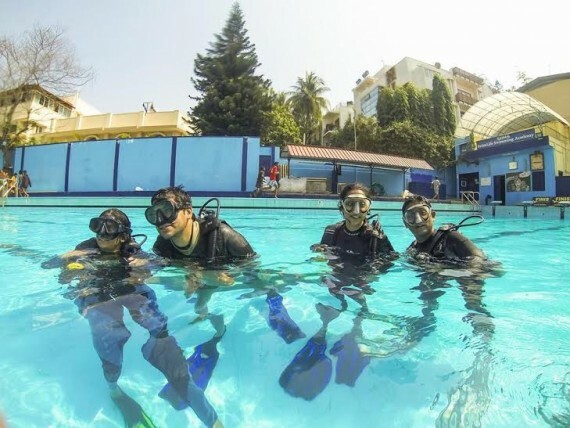 In Mumbai, you can learn at the Orca Dive Club from the same instructors who taught Katrina Kaif diving for her role in Zindagi Na Milegi Dobara and Aamir Khan for Dhoom 3. The Orca Dive Club offers a special Junior dive course for divers between the ages of 10 and 15. The PADI Open Water course comprises three main phases including Knowledge Development (where you will learn all the theory needed to become a PADI Open Water Certified Diver ), Confined Water Dives (where you and a PADI-Certified Scuba Instructor will build upon the knowledge you have gained from the theory sessions during 5 sessions in a swimming pool; you will learn all the skills needed to enable you to proceed to the sea) and Open Water Dives, where you will fully experience the underwater world (Your PADI-Certified Scuba Instructor will lead you on 4 sea dives over 2 days where you will finally show off the skills you have learned in the pool. The PADI course requires that participants be medically fit, be able to swim (though some courses will teach you this) and be at least 10 years of age. Learning scuba diving in your own city saves you up to 30% in terms of cost; the time you save is of course immeasurable and devoid of potential delays and non-completion, if you were on a beach holiday. The usually limited water skills of most Indians means that you need extra time to become comfortable underwater, something that is either not possible due to prohibitive costs or due to lack of time on a holiday. What if I have a problem with motion sickness ? Speak to your local Pharmacy before your experience , they have various remedies . There are plenty of scuba diving destinations in the world. 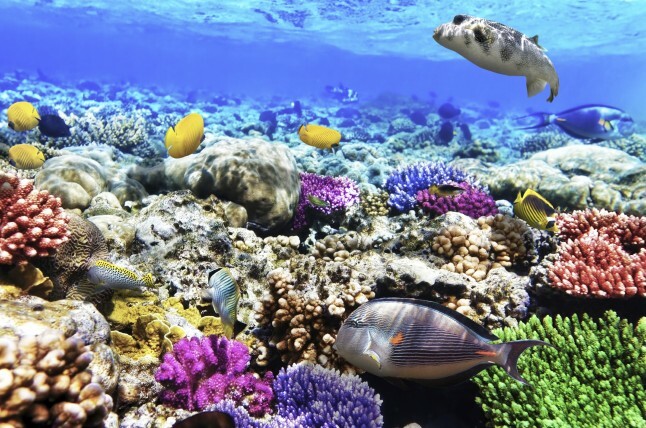 Tropical diving, which is most popular due to the warmth of the water and beautiful reef systems, happens between the Tropic of Cancer and the Tropic of Capricorn, but there is diving wherever there is a sea. The best known destinations in the world are Southeast Asia (Philippines, Malaysia and Indonesia), Micronesia and island nations around it in the Pacific, Australia, Red Sea (Egypt) (pictured above), South Africa and the Caribbean. They have a very well-developed infrastructure in terms of boats, safety norms, environmental protection and hotel rooms. Liveaboards or Luxury Dive Yachts have become a major global trend over the last decade. With the motto – Eat, Sleep and Dive – these Liveaboards reduce a lot of hard work that divers from land-based dive centres have to undertake (carrying equipment, waiting in the boat and walking back after a tiring dive). This is also an ideal solution for quickly increasing room availability in the destinations such as Lakshadweep and Andamans, owing to limited infrastructure and environmental constraints in building new hotels. This has given rise to demand for good infrastructure and new destinations. India is well positioned to capitalise on these. Posted on March 4, 2015, in diving. Bookmark the permalink. 1 Comment.